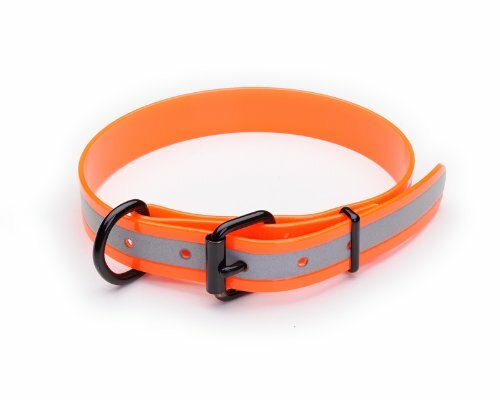 Biothane reflective dog collars, high visibility, durable, strong and weather-proof. 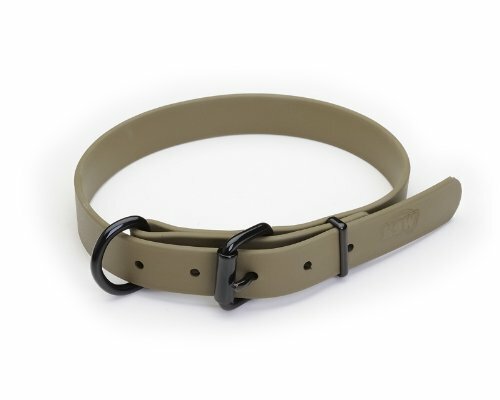 The Biothane dog collars can take the wear and tear of leather without the maintenance leather requires. When the Biothane collars and leads get dirty they can be rinsed or wiped off and be dry in a few seconds. Dog collars are available in reflective green and orange and are made in USA.